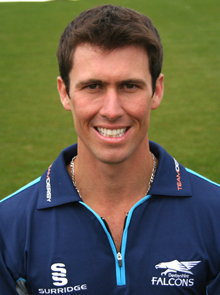 Captain Wayne Madsen is leading a seven-strong party to Sri Lanka as Derbyshire's preparations for the 2013 campaign continue. 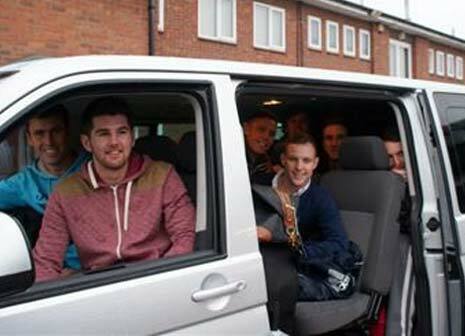 Madsen is joined by Tom Poynton, Richard Johnson, Dan Redfern, Tony Palladino, Mark Turner and Tom Knight, pictured above setting off for the airport (the clubs thanks to Four Seasons Transfers for the Airport Transfer) - as the group hone their skills, focussing on spin bowling and the turning ball, in testing sub-continental conditions. The ten day trip comes after six Derbyshire players enjoyed a successful trip to India in January of last year. India was set to be the venue once again in 2013; however Colombo later became the preferred destination. Madsen (left) said: "It's good for the seven of us to get outdoors. We'll be facing spin out there and different conditions but the main thing is we'll be able to train outside. It's going to be a good experience. "The guys involved in the trip to India last year learned a great deal and by all accounts, the feedback from previous visits to the sub-continent has been very good. "The conditions out here will be pretty tough and it's going to be a good challenge for us. Hopefully it will provide excellent preparation ahead of the season back in England." 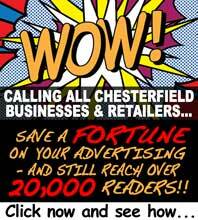 Derbyshire Falcons are targeting a place in the all important top four as they entertain Nottinghamshire Outlaws at the County Ground More..
Destination Chesterfield was bowled over to sign Derbyshire County Cricket Club as it's 50th member of the 'Chesterfield Champions' scheme. More..